By the first week of the sanitation strike in 1968, Joan Beifuss had instituted Rearing Children of Goodwill, a desegregation workshop similar to one she had been involved in a few years before in Chicago. Several weeks later, the former Sun-Times reporter marched with Dr. Martin Luther King, Jr. and covered the strike for the National Catholic Reporter. Shortly after Dr. King was assassinated, Joan joined an ad-hoc committee formed to understand the meaning of the events they had witnessed. 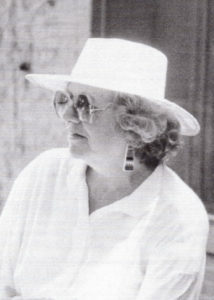 In 1972 she began approaching publishing houses with a book based on the articles and interviews collected by the group. New York houses rejected it because it wasn’t “commercial.” While teaching at Memphis State University, she submitted it to the regional and university presses. They rejected the manuscript. In 1985, at her own expense, she published At The River I Stand: Memphis, the 1968 Strike and Martin Luther King. Readers can’t put the book down so caught are they in the inexorable rush of events and the conflicts that create social change. It was Joan’s determination that this story would not be lost that carried her through 17 years of working on the manuscript. Joan later received the Dr. Martin Luther King Jr. Human Rights Award from Memphis State University in 1987, the T.O. Jones Award and others. At The River I Stand became part of an 18-volume series, Dr. Martin Luther King Jr. and the Civil Rights Movement in 1989. In 1990 St. Luke’s Press published a hardbound version. Joan died of lung cancer January 7, 1994. She was 63.